Product #18129 | SKU LG-EL30-GRYBLK | 0.0 (no ratings yet) Thanks for your rating! 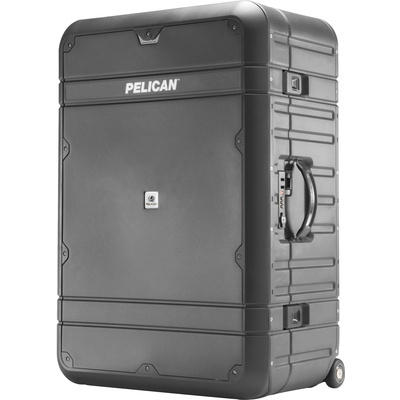 This Grey with Black 30" Elite Vacationer Luggage from Pelican is an FAA-approved airline checked luggage case made of lightweight injection molded HPX high performance resin. It features Valox latches, a self-regulating vent and stainless-steel hinge pins. Also included is the Enhanced Travel System of a lid organiser, Dopp style toiletry kit and a zippered shoe sack. Double wall polypropylene with polycarbonate trim can withstand extreme loads up to 680.3 kg.